One project corresponds to one greenhouse size (length, width) on a given site (geographic coordinates). One scenario is a calculation allowing to change any parameters on a project excluding size and geographic coordinates. This offer allows to study a project with a reference simulation and compare the quantitative influence of 10 scenarios with different parameters. Great for technicians and consultants! If you are a regular user, the project pack is an economic solution. This pack is valid over a period of 2 years. Ideal for technicians, consultants and equipment manufacturers! 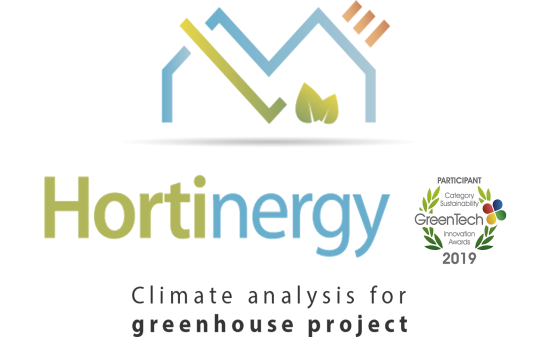 If you are a frequent user, this 12-month contract allows for unlimited use of Hortinergy. You need to compare new scenarios for a particular project ? The option pack is for you !